Results don’t come from what you can do, it comes from overcoming the things you once thought you couldn’t….Book a free consultation at House of Health! Be apart of the team and join the House of Health journey! Focus on doing just one thing today to move you closer to your goals. 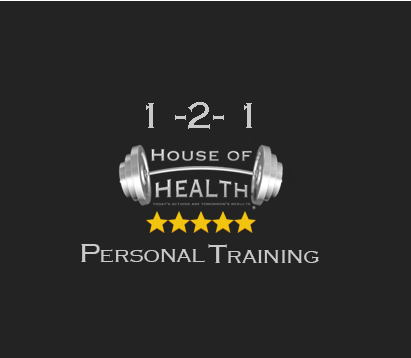 Its not just about training and nutrition to gain those results, its about learning and understanding what your body and mind needs, House of Health delivers first class coaching to help you reach your goals. Welcome to The House of Health. 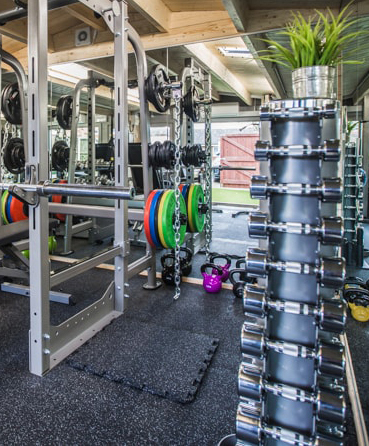 House of Heath is a Private Strength and Conditioning Studio with a full weights area, conditioning machines, state of the art equipment and outdoors training area. 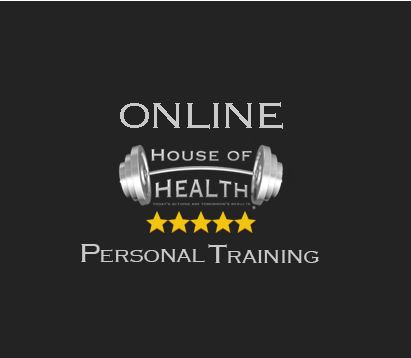 House of Health offers bespoke Personal Training, Semi-Private Personal Training, Group Training, Online Personal Training and Nutrition Plans for all our client’s unique goals and needs. What makes House of Health so special isn’t just our facilities, and it’s not even our knowledge and experience. The over-riding factor is that we care. We care about your wellbeing, your health, and your results. We invest everything we have in helping you reach whatever goal you have set for yourself. Our hunger and passion for success motivates us to leave no stone unturned. 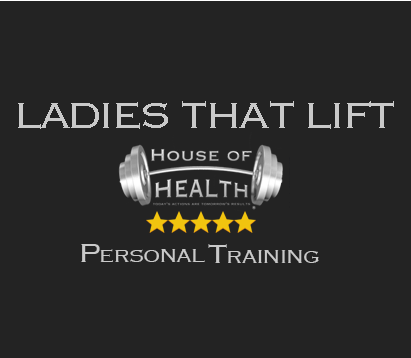 Each session is focused on weight training, which is tailored to each clients abilities. We help you in every possible way we can – because we really care. House of Health leads the industry when it comes to helping people reach their fitness goals. 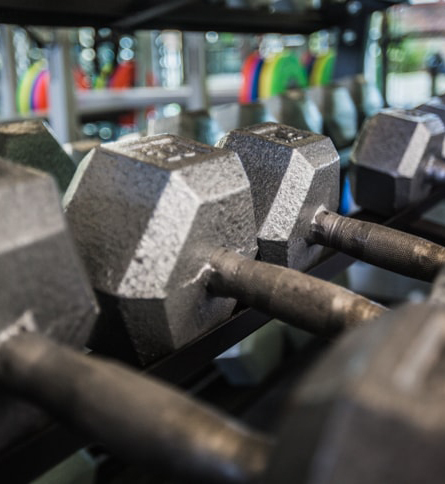 We have extensive coaching knowledge and a vast range of Strength and Conditioning equipment to enable each session to be exciting and different! 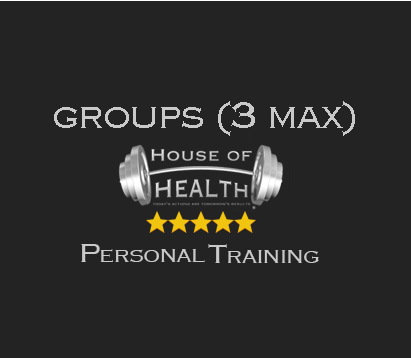 We have many Personal Training and Group Training packages to offer that suit all abilities. 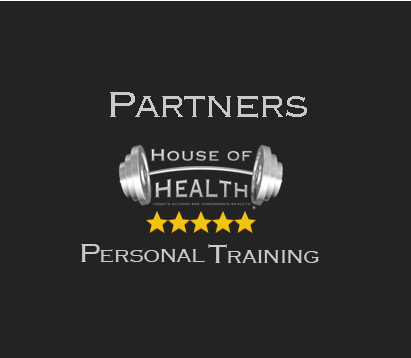 House of Health prides itself on being a Private area for you to train and build confidence with weight lifting. We understand that walking into a mainstream gym can be daunting and challenging, but at House of Health our private and encouraging studio will help you find that confidence and train without any worry. All you need to bring is a positive mindset and your House of Health PT will do the rest!